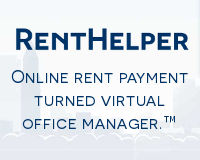 Landlords and rental managers should verify an applicant’s ability to pay rent on an ongoing basis. This is why we ask for “proof of income” on a rental application. What counts as proof of income? 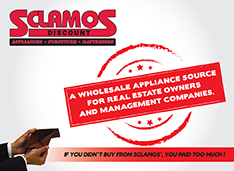 How can landlords verify salary and government benefits? This article gives some tips and tricks for verifying income on a rental application. The disadvantage of pay stubs is that they are rearward-looking. You can’t tell from an applicant’s past earnings whether they are still employed. For hourly workers, ask for pay stubs in sequence for as long a time period as you need to feel comfortable. An applicant with a varied schedule week-to-week might need to present six pay stubs before you get a reliable measure of their average earnings. Check the dates on pay stubs carefully to look for missing pay stubs. This might indicate that the tenant has told you they work harder than they actually do. Missing pay stubs should be counted as “zero income” for the period. For salaried workers, check that the total compensation is roughly the same period-to-period. Another common proof of income is a recent offer of employment on company letterhead. This is forward-looking and indicates the salary or hourly rate. Be careful: offer letters are often conditional upon things like drug tests, which the applicant may not yet have passed. Offer letters may also have expiration dates. Offer letters can be accepted as proof of income most easily when a tenant has arrived new in town and hasn’t yet started work. 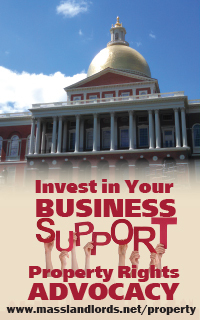 Small businesses are often able to verify employment and compensation over the phone. Larger corporations may have outsourced this with a company like The Work Number, for instance. If the applicant gives you the number to call, try to verify it independently. They could have given you their friend’s number, and given their friend a script to lie to you. An independently verified phone number can be a fast and forward-looking way to verify employment up-to-the-day. Some applicants work at smaller businesses that can’t provide any of the above proof of income for their employee. They don’t produce pay stubs or offer letters and they don’t answer verification requests over the phone. For these, ask the tenant for a bank statement showing their regular deposits. This works whether they are paid by cash or check. Add up their regular deposits and create your own “pseudo pay stub” with their average earnings. Watch out for transfers between accounts. A dishonest tenant could move money back and forth between accounts to create the appearance of cash flow. Ask to see the statement for the other accounts if there is heavy transfer activity. Tax returns can serve as proof of income for very stable applicants who don’t want to share bank statements but who don’t have pay stubs, either. Some examples: a senior living off of substantial savings or retirement accounts, a business owner with regular dividends or distributions, or a self-employed person working at their own business. Look for a pattern of consistently adequate earnings over several years, if possible. Some special circumstances call for exceptions. Expert hair stylists, tattoo artists, piercers, waitresses, musicians, and other artists in the right setting, if they are very good at their job, and if they are working at an establishment of some renown, might be reliable all-cash tenants without any proof of income. For instance, you might know that your applicant is employed at a local tattoo parlor which draws in patrons from around the country, that this parlor is almost all-cash (there is such a place in Worcester, MA for instance), and that your applicant is somewhat famous and sought-after in his or her field. If you have this perfect alignment, you can waive the income requirement on an application. Write down the reasons why you know this person is famous in their field, write down the fact that their business is all-cash in-and-out, and write the time and date you verified their active employment at their venue. For instance, “Tenant all-cash but asserts ability to pay rent. Has 20,000 Instagram followers. Visited her at work on 6/15 to confirm employment as indicated.” Remember that this is an exception for relatively famous people and should be used rarely if ever. Most all-cash applicants should be advised to get and use a bank account and reapply in the future. Tenants without jobs can still have income. Federal programs like Supplemental Security Income (SSI) and Social Security Disability Insurance (SSDI) give a regular stipend to the blind, aged, and disabled. Applicants with SSI or SSDI can request a “benefit verification letter”. This benefit is the only way they can afford to pay rent. You can require such applicants to produce this. 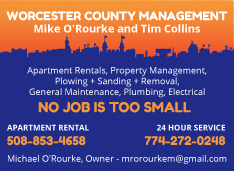 Other programs like the Housing Choice Voucher Program (Section 8) or the Massachusetts Rental Voucher Program (MRVP) are designed to eliminate the income portion of a landlord’s application. 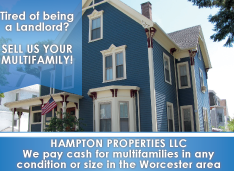 They guarantee that the tenant will not pay more than one-third of their gross income to rent. For these tenants, you need a benefit verification letter from their voucher administrator. Other applicants may come with still other subsidies. There is a seemingly limitless supply of sources of funding. Whatever they claim to have, make sure as the landlord you get proof of this subsidy income. There is a risk of fraud, but there is a far greater risk that the tenant is misinformed about their own subsidy. They might think they can afford your apartment, but in reality, perhaps the subsidy isn’t as valuable as they thought. This is a common mistake with participants in programs like HomeBASE. 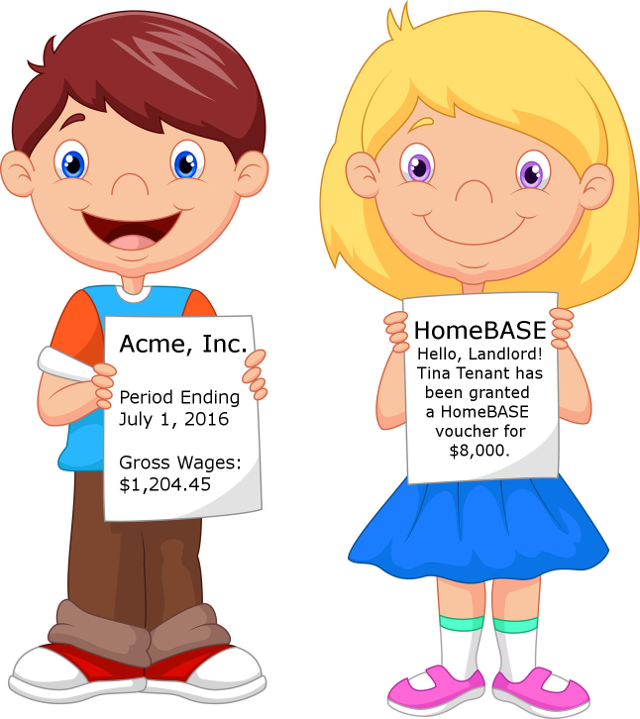 Asking tenants to prove their salary is different from asking for proof of income. Don’t ask for proof of salary or wages. This could be misconstrued as a signal that you will not rent to subsidized tenants. Ask for proof of income and you should be legally covered. When in doubt, consult with an attorney about your screening practices. We hope this article has helped you to think of some new ways to collect proof of income. It’s a critical piece of your rental application and tenant screening process. Collect proof of income from all applicants and you can be sure to maximize your chances of success in the rental business. Good luck! Members can ask experienced landlords for advice and screening service referrals over email and Facebook message boards. I was wondering if you are eligbile to still receive the voucher if you changed jobs and only have two pay stubs from your new job that doesnt have full hours on them because your in training? Not sure, you will have to check with the subsidy administrator where you’re considering applying. The Social Security Administration will provide a benefit award summary upon request of the beneficiary. Ask the applicant for a copy of the statement if you would like to verify this source of income. My husband works for a small landscaping company “under the table”. We do not have bank accounts or other ways to prove his income. His Boss can verify my husbands earnings verbally. Im not sure what we can do to find a home. We have been in hotels for a year. Will a landlord take our receipts as proof of income? I’m applying for a studio apartment. Since my social security income is “below the standard of 1 1/2 times the amount for an apartment”, and yet I have paid all my bills for the last 13 years, including rent, and have a credit report of above 760 or more, can I fudge a little? This is a shame that measly landlords who only rent, with too excessive high greedy charges, that they can request to see what a person makes – that is none of that landlord’s business. What anyone makes or has in their bank account is nobody’s business especially not a dang landlord. The landlord checks your credit and that should be enough. It is unruly and should be against the law for them to be able to see a person’s pay stubs or anything on what they make. If the person does not pay the rent, then he gets evicted and that should be it! This was NEVER the ways of the United States of America, but the more foreign people come running to the USA and wrongly be allowed here because they make evil their countries and have nothing and are nothing, then they have turned the USA into a no-privacy, controlled, evil ran and unfair horrible condition country just like where they came from – you immigrants did this to this country and I am damn mad – this is why the rent is too high and going up each year to where a person has decent money but can’t afford to rent anymore – just plain evil greed. USA is not your country and you should be thrown out with your ways and then we can go back to being the USA.